Dorin Dickerson, Aaron Berry, and Nate Byham will all be playing in senior games to showcase their skills before the draft. Meanwhile, Mel Kiper has his 2011 (yes, 2011) draft board up already. In it, Greg Romeus ranks as the #3 DE and Jason Pinkston the #5 OT. I don't know if Romeus can repeat the kind of success he had this year. With the loss of Mick Williams, more attention will probably be paid to him. But if he can, he could be a first-rounder. Focusing on the NFL, here's a fairly unique article/slideshow of the top Big East players currently in the NFL - Pitt has three of them including the top two. 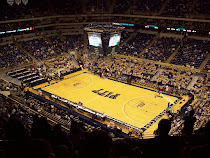 Brian Bennett breaks down the top ten Big East games of the year and Pitt lands in three of them...including, unfortunately for Pitt fans, the #1 game against that Ohio team that shall remain nameless. The game also ranked 3rd in the Big East games of the decade and a certain upset from 2007 was #4. Bennett also rates Pitt as the #4 Big East team in the decade. I would have probably bumped them ahead of Virginia Tech, but maybe that's just me. And sticking with Bennett and this whole decade theme, he ranks Dave Wannstedt as the #10 coach of the Big East. 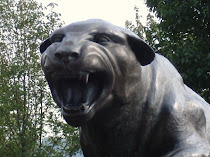 Moving from Bennett, Bill Conley of Scouts, Inc. says Pitt's 2010 class is better than its 2009 one. GoPittfootball.com, the school's satellite site for football, has a nice video recapping 2009 season highlights. Mark Schlabach at ESPN.com says Larry Fitzgerald was the top college wideout of the decade and the #9 overall player. Along those same lines, Paul Zeise throws out some options for Pitt player of the decade and also goes over yet more coaching changes including the departure of Joe Tumpkin and addition of former Pitt QB Luke Getsy. The last three were too close to call in my opinion.